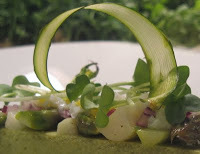 Asparagus signifies the start of spring, when the first green flavors of the season begin to come to life. 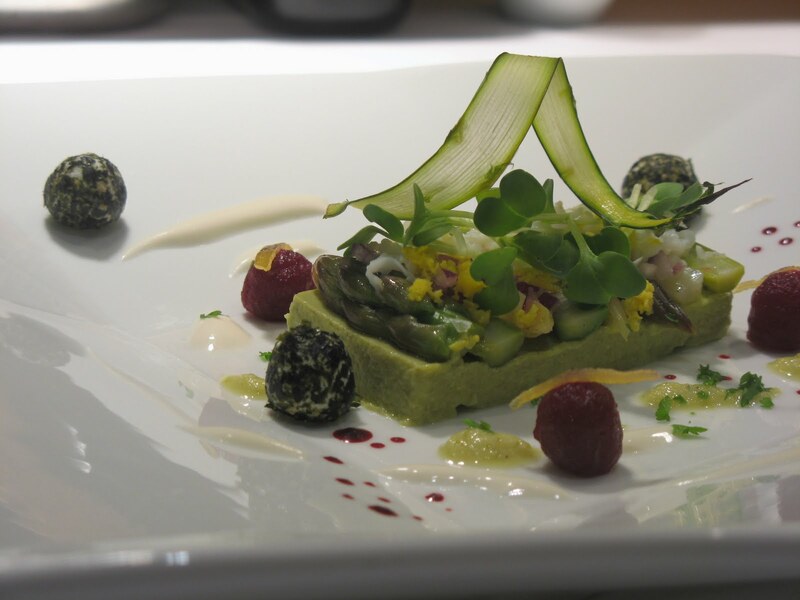 Chilled marinated asparagus is placed on a cream enriched asparagus flan. Chopped red onion, the yolk and white of a hard boiled egg, and the bright peppery crunch of daikon radish shoots top off this intriguingly fresh salad. Spicy pickled beets and the seaweed encased goat cheese adds a perfect balance to the vibrant asparagus vinaigrette and the tangy goat cheese dressing.